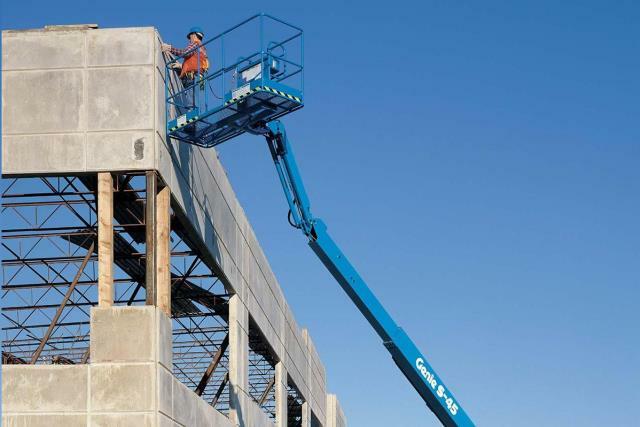 When comparing prices on 45' boom lift rentals in Sunnyvale, San Jose and Gilroy, ask about sales tax and environmental fees. 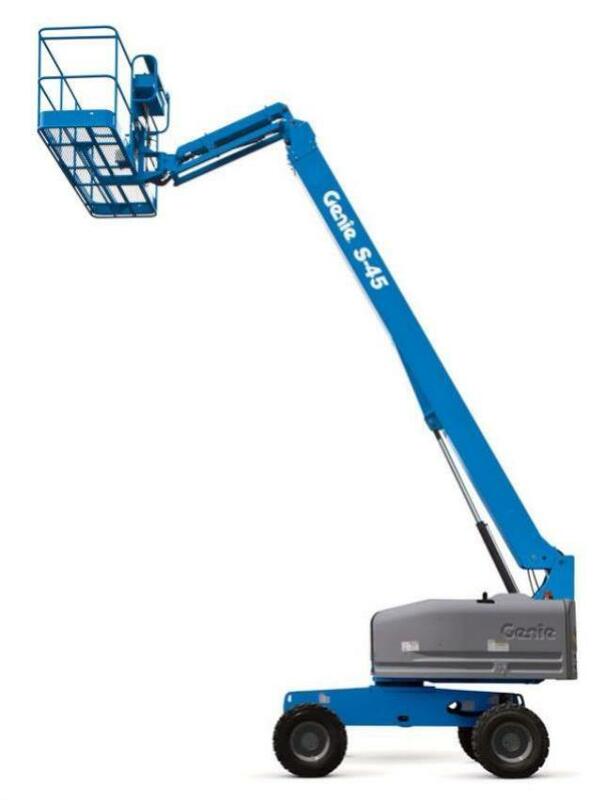 Stowed Height 8' 2" Width 7' 6" Length 27' 10" Ground Clearance 12' 6"
Maximum Platform Height 45' Reach 36' 8"
Platform 8' x 3' Capacity 500 lbs. Available with a GAS/PROPANE or CLEAN DIESEL engine. 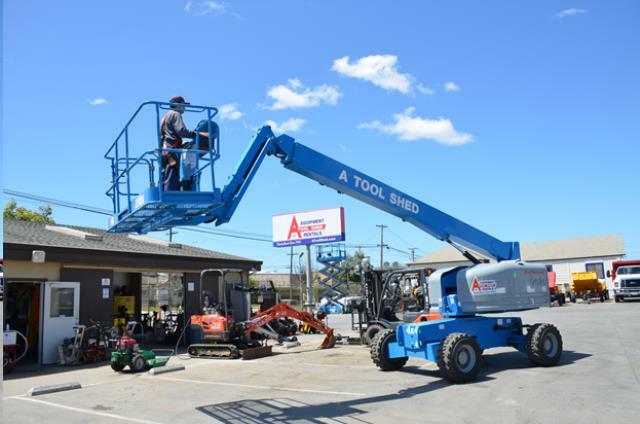 * Please call us for any questions on our 45 foot genie s45 personnel boom lift rentals in San Jose, Campbell, Salinas, Santa Cruz, Watsonville, Morgan Hill, Hollister, Santa Clara, Gilroy, Milpitas Sunnyvale, Fremont, Salinas, the Greater Bay Area and the Monterey Peninsula.